Since Christmas is just a few days away, I thought it would be appropriate and enlightening to look at Prabhupada’s views on Christmas and Christ. Prabhupada didn’t see Chrisitanity, or any bona-fide religion, as different from Vaisnavism. Dr. Patel: Christ was a great bhagavata-bhakta. Prabhupada: Yes. I said in many lectures that Christianism means Vaisnavism. “Once, in Melbourne, a group of Christian ministers came to visit me. They asked, ‘What is your idea of Jesus Christ?’ I told them ‘He is our guru. He is preaching God consciousness, so he is our spiritual master.’ The ministers very much appreciated that. 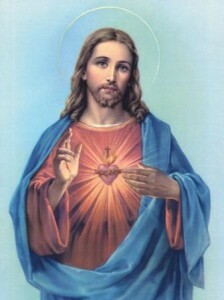 Prabhupada often wrote of the exalted qualities of Jesus. When Srila Prabhupda spoke about tolerance and compassion, he often used the example of Jesus Christ. It is the custom of Christians to celebrate Christmas with a turkey dinner. Prabhupada comments as follows. Prabhupada: But that is not the injunction of Christ. They have made it. Dr. Patel: No, no. That cannot be injunction of a saint like that. Prabhupada: No. He says, “Thou shall not kill,” general order. Jesus Christ. He said, “Thou shalt not kill.” But his birthday is observed by killing, killing, killing, killing, killing. When speaking with Christians, Prabhupada often only spoke about how meat eating was against the teachings of Christ, and against any spiritual teaching. Most Christians object to this direct understanding of Christ’s commandment, preferring instead to interpret “kill” to mean “murder.” We should refrain, they say, from killing humans. Srila Prabhupada was once asked by a disciple how a Christian should behave. Prabhupada said he should act just like we do. He should follow the four regulative principles and chant the name of Christ. So we see that Prabhupada didn’t say that religious principles vary for different religions. “There cannot be impious Christian or pious Christian. Christian must be pious. If somebody’s impious, then he’s not Christian….impious thief cannot be. Thief is always impious. One of the ten offences to the holy name is to commit sin on the strength of chanting. Because this offence is somewhat condoned in Christianity Srila Prabhupada spoke strongly against it. But what is surrender? If the spiritual master, Lord Jesus Christ, has suffered to free us from our sins, is it surrender to continue freely sinning? Transgressions due to weakness may be understandable, but our weakness, Srila Prabhupada taught, should not become our vocation. It’s amazing that the fundamental Christian teaching (misunderstanding) upon which the entire religion is based, that even though we continue to sin if we ask Christ for forgiveness he will forgive us and give us eternal life in heaven, is considered in Vaisnavism to be more sinful than any of the sins one is asking to be forgiven from, and thus the very act of what they consider to be liberating them is the most sinful activity. And what’s so amazing is that hardly any of them have figured this out.